Ideal for long runs in hot conditions, the Women's Intensity Short Tights are built with a wide waistband, light muscle support from the knit fabric, and grippy print for resting hands during steep ascents. Comfort without excess fabric for intense workouts. 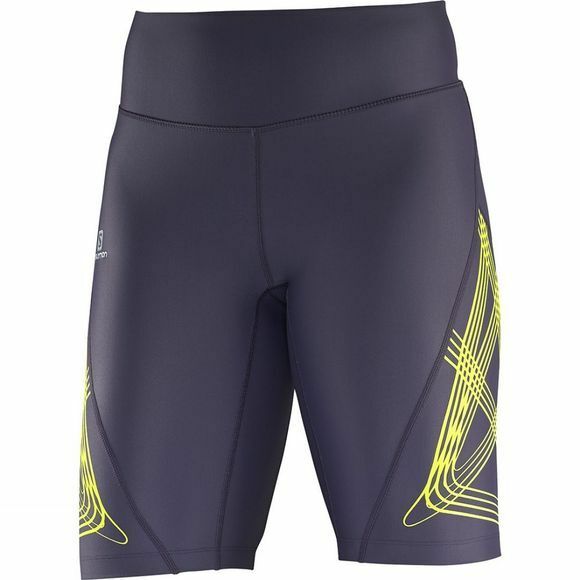 Compression built into the fabric provides comfortable compression without restricting movement. Patterned to enable complete freedom of movement, with stretch comfort in the fabric. Woven fabric is soft and breathable, while providing light support.